Film and stage actor Val Kilmer, best remembered for his now classic movie roles in the 80s and 90s including Top Gun, Jim Morrison in The Doors, Doc Holliday in Tombstone, and Bruce Wayne/Batman in Joel Schumacher's Batman Forever, is set to workshop an engagement of his Mark Twain evening Citizen Twain at the Kirk Douglas Theatre from June 28 - July 28. In our chat he discusses how it all began and how he feels about inhabiting the skin of one of the world's greatest humorists. 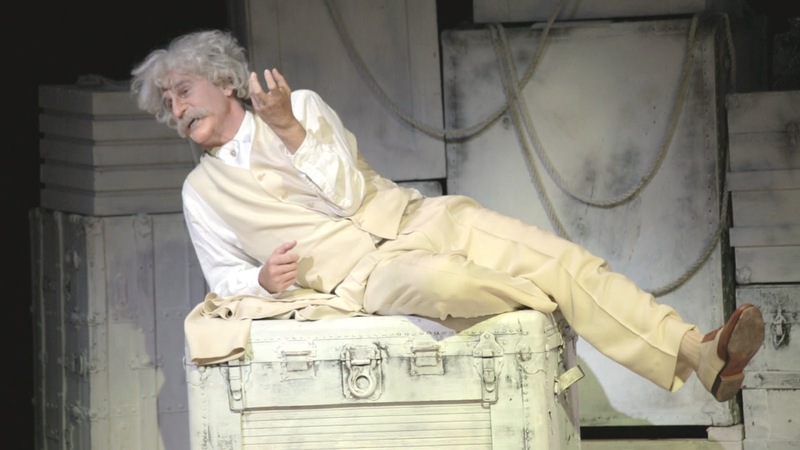 Why a play about Mark Twain? Has he fascinated you since childhood? Why Mark Twain?... (pause) because ...because... Lincoln was taken. (long pause) That was a joke. I tried my best. (we both laugh)...For many years I've been looking for a film to direct. I finally found a story between Mark Twain and Mary Baker Eddy that I knew I would remain passionate about and that would stick with me for all the years it takes to write and produce and direct something. Yeah. Particularly these days with independent films just not having the financing that they did even five or six years ago. Because of the crash, the money's really tight, and period films always have been a gamble. Every extra, every street, every street lamp, everything has to be ... everything costs money. It was about a ten-year experience putting together the film. Mark Twain was friends with Mary Baker Eddy and devoted a lot of time to her and her ideas. I found a really loving humorous story that is really a story about America, what I believe about America and what I love about it and where I think we're headed. So that's how the screenplay started. When I finally got close enough to start putting the financing together, I realized that producing is so all-encompassing as well as directing, that the day has gone every day by five or six o'clock and I would be saying, "OK, now I'm going to put some time aside to work on the role", because I'm going to play Mark Twain in the movie as well as direct it. I realized I just needed to stop everything and create the role. That's how the play developed. You must have been fascinated by Twain to want to play him so badly! Did you love Tom Sawyer and Huck Finn as a kid? My father grew up with that oral tradition because he's a southerner who was raised in the Southwest, literally in the wild, on Indian land in New Mexico. My grandfather was a real prospector. My heritage is real live wild west stories. My father would tell stories around the campfire, and the way that he would tell them was out of that oral tradition, like Mark Twain learned how to tell the story...long nights on the river and on the riverboat with everybody talking, telling the story. Something I didn't know when I first started putting the movie together is that Mark Twain was really our first great or maybe first period...stand-up comedian and not just a comedian but a social commentator and critic. You think of guys like Lenny Bruce or Redd Fox, how they utilized race and language...Richard Pryor and Chris Rock, Jack Black, Lewis Black and people who are still able with a lot of love to be accurate and honest about some of our greatest hurdles like race and language. How have you structured the piece? Is it chronological as to his life events? No. Twain wasn't big on plot. (he laughs) What I've tried to do is mirror his thoughts that were his interests about autobiography, that he was never able to complete. Fascinating...I have lots in the play of how impossible it is to tell someone a story and have that kind of be a parallel to encourage the audience to contemplate maybe a more nonjudgmental position about America today. But it just wasn't as entertaining as other ideas of Twain's...a genuinely wise man who understood everything about human nature. It was just too great a temptation to resist trying to tell a complete story of him. I have kept some original rules; I've said this out of order, but I started out wanting to just do a stand-up routine...an hour five minutes, an hour ten minutes like stand-ups do. It seemed to be shortchanging the audience, though, of as much as I had to give about the character, a complete character study. Have you taken what you've written from a specific biography? It's really from everything, letters and notes, his autobiography and his great novels and commentary and newspaper articles. What I try to represent is the idea that he never really articulated, what James Joyce completed in his masterpiece Ulysses. The idea is that any human being is living in three different atmospheres if you will. There's his subconscious going on that nobody knows but him, his thoughts coming into him seemingly mysteriously in a dream kind of state. Then there's the physical reality, like this dressing room that I'm talking to you in, what that means, he would go on about how to shoot a squirrel and how much cigars cost when he was a kid and how many cigars fit in a barrel and how many barrels fit on the steamboat...go on and on and on about these seemingly disparate or meaningless details and what he was attempting to do, which they said he seems to have perfected, was to give a whole or dimensional picture of a person' s essence. By studying the historical part of life, that I'm talking to you in Culver City in Los Angeles and there's a Native American reality to this face and the Spanish part of and the Gold Rush part of this story, that's right here in the dust and the dirt, that's what he was going for. Certainly evident, you feel a freshness and timelessness in his masterpieces, where he's really captured the essence of being a kid. Freedom, what it's like; no rules out there on the river, and it's quiet, and you can feel God, like he says. Do you use any of his famous quotes? As many as I can cram in there. Did you ever see Hal Holbrook's famous Mark Twain Tonight? I've seen it several times, and I've met him. I've met him about my play, and he's been very, very kind to me. I've been very mindful of his amazing work. As a side note, what is your favorite film role of all those you've done? Oh gosh. I truly enjoyed the collaboration with Tombstone. Kurt Russell was so much fun to act with, and I had some memorable lines to play in that, and I really enjoyed working with Oliver Stone, and singing those songs... that was like a theatre experience... that was live. 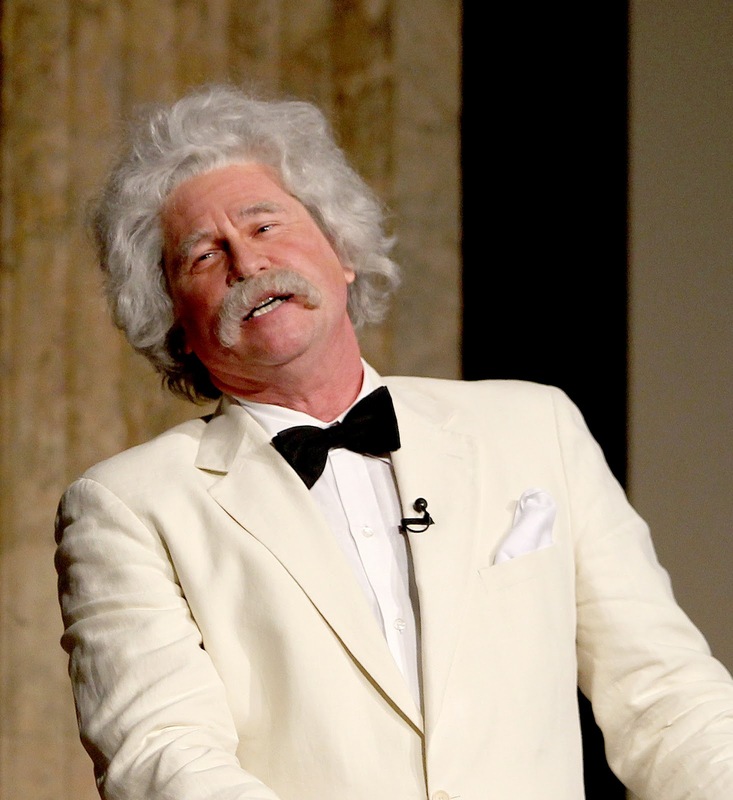 So, do you think in Mark Twain you've found your ideal role, your part of a lifetime? 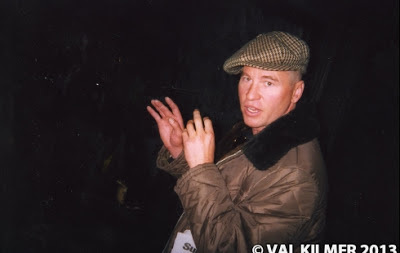 Val Kilmer speaks very slowly, methodically and intelligently, with meticulous care in choosing every word, every syllable he utters, like a painter who exercises great caution with every stroke of his brush. Maybe out of fear or insecurity... or maybe he intentionally wants to give his audience only the very best of what he has to offer. That is what I take from it. He has obviously been bitten by the brilliance of Mark Twain. 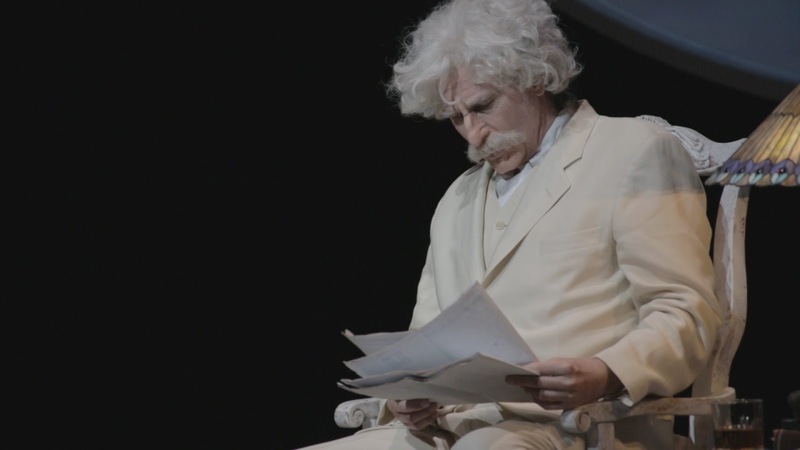 I can't wait to see Citizen Twain playing at the Kirk Douglas Theatre in Culver City from June 28-July 28 only, prior to a West End London premiere this fall. 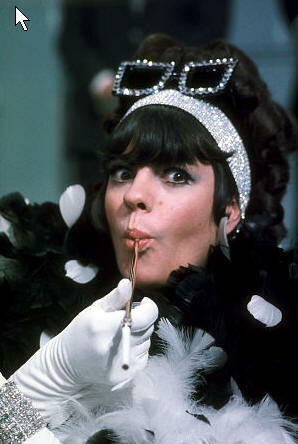 Actress/comedienne Jo Anne Worley needs no introduction. 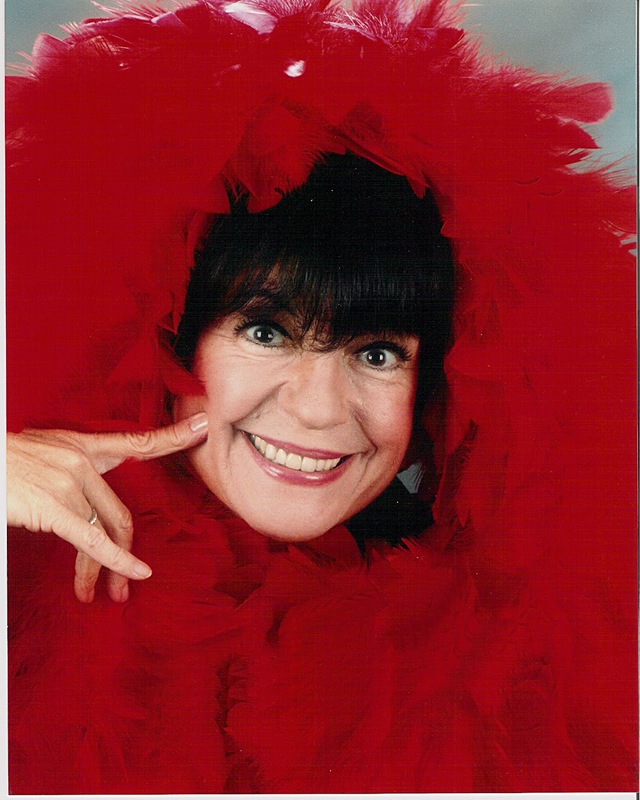 One of the stars of the classic TV variety show Rowan and Martin's Laugh-In, Worley will be at Welk Resorts in Escondido displaying her comic versatility as she presents her one-woman show Keep Laughin' June 26-30. In our recent chat, she did indeed have me laughing as she talked about her show, her take on what makes something funny, her favorite stars, and Actors and Others For Animals, which remains close to her heart. She's a tremendously joyous lady with terribly strong vibes about people and the biz and proves an overall endearing human being. Tell me about your one-woman show Keep Laughin'! I just made copies of my rundown this morning. I have done a nightclub act for low these many years. This is really my nightclub act but much more personal, with some clips and pictures and things like that. My sister saved absolutely everything. I actually started doing this show to honor her. She would write the year, the date and put it in a special folder, so it was easy to chronicle things. I found a letter of acceptance to...when I went out of high school, I went away as an apprentice...I have that letter of them accepting me and how much it was. It was for three months; I think it was $225 for room and board. Can you imagine how much that would be today?! Thousands for like two weeks. It's just amazing. 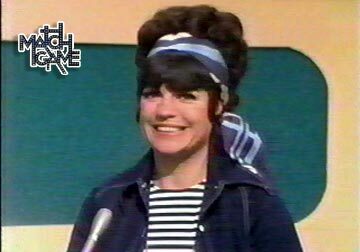 And it was the most important thing...she also saved newspapers and had them laminated...the front page...I come from a little town called Lowell, Indiana. The front page of the Lowell Tribune... I was above...it said Lowell girl, Bob Hope's neighbor (she laughs). I have that and I can hold it up and show people. Also I have my prom pictures that I'll put up on the screen; I was engaged when I was a senior in high school. Things like that! The songs that I do throughout, musical comedy songs, certainly ones that I've done...and what I like to do with a song is change it and make it mine, with the exception of...I do "Rose's Turn" from Gypsy, that's certainly one of my favorites that I've done. What about the song you did in the Billy Barnes tribute at Kritzerland recently, the one that he wrote especially for you? "Inner Child", yes. God love Billy, God love him! Did I do some of the walk-acrosses at Billy's tribute?... (she sings) "What ever happened to the 3D movies...?" 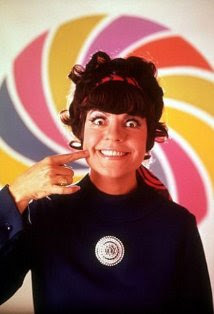 It was so short...and by the way, you know of course that that was Billy (Barnes) playing the piano on Laugh-In! Who were your comedy mentors, the ones you absolutely adored? Jerry Lewis. I loved how he would surprise people, and one of the biggest thrills of my life was actually working with Jerry Lewis on his television series. Before that, when I first came to Hollywood, they were having a contest at Paramount to start a comedy class, that's when he was King of Paramount. Literally thousands auditioned, and about a dozen of us were chosen to be in this class taught by a joke writer who taught at UCLA. Jerry would come in and play a week of takes, bits and sketches and things like that. He held up this big bottle, Jeroboam of champagne and said "The first person to make it in this class is gonna get this champagne". And he gave it to a girl by the name of Caroline Richter. (I laugh)...Exactly! (we both laugh because...Caroline who??) 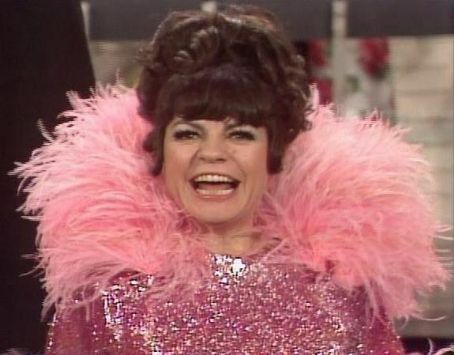 ...And so when he opened on Broadway in Damn Yankees, I happened to be there doing...golly I don't know...Grease...and I got him a big bottle of champagne and took it to his dressing room. Well certainly Lucille Ball...and Rosalind Russell, and the movie musical ladies like Betty Grable. What about the newer ones coming up, is there anyone in particular that you're fond of? Well, there's a little girl called Lily Tomlin. (we laugh)(she pauses)... Yes, Tina Faye. She's just magnificent, isn't she? I'm not aware of what's going on in the stand-up clubs with young people. It's just not on my horizon. What do you look for in a new talent? What makes them funny? What is not funny in your estimation? Well, dirty is not funny. I remember when I was coming up, we would work in the clubs to get a piece of material that we would then do on television. You would never waste your time doing dirty material that you couldn't do on television, in a club. Mainly what I look for is ...(she gasps) I think heart. It's hard to describe, but when you see it, you know it. A lot of people know you exclusively from TV and don't appreciate what a wonderful singer and stage performer you are. Of course, you've played Dolly and Mame, and, as of late, you've done Madame Morrible in Wicked and Mrs. Tottendale in The Drowsy Chaperone. What role would you like to play that you haven't already done? Well, obviously, I would like to create a wonderful role that has not been done. I'm going to be doing some of the music from Call Me Madame. Is that ready for a revival, do you think? It's been done here and there, but...you would be great in that. It's easy for me and I've done it. The time to do that would be in an election year, on Broadway. It's a period piece. I don't think it can be tinkered with and brought up to speed. It's from such a different world. There are full conversations built into the show that people don't have now. Speaking of creating a role for yourself, what you written anything? There's no one quite like you. You're an original. Ohhh...I was at the theatre last night and all the people in the audience were going ...Ooo...ooo! (imitating that infectious cry that she does) That's nice! 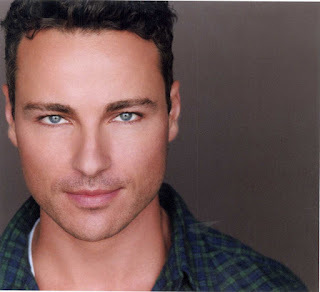 What about Actors and Others For Animals, a charity I know that is close to your heart? Is it still as active as ever? Do you still have dogs of your own? Yes, I'm looking at my Harmony right now. She's a rescue, a little Yorkshire terrier.She goes everywhere with me, and she is just the best. What else is out there for you? 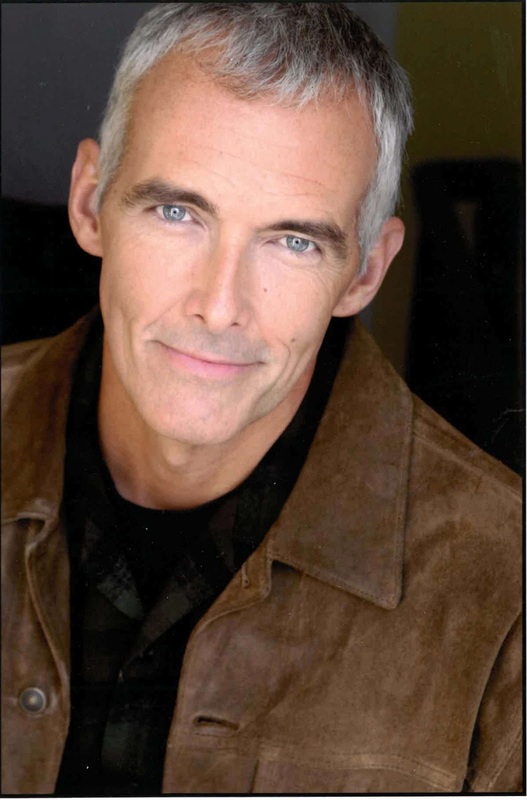 In a couple of weeks I'm dong a commencement speech for the graduation at American Music and Drama Academy. What I'm doing for my speech is..I've been asking people that have been in the business...What advice do you wish you had heard when you were first starting out? What would you say? You have to have your feet on the ground and be prepared to work hard. This pie in the sky attitude of "I'm going to be a big star" is ridiculous! Yeah. And with Reality TV, people think that's easy! It's like a drug, you have to want it more than anything else. More than anything else. I like the feet on the ground thing you mentioned.That's very important. And you not only have to have money to support yourself, but know how to save money. Mae West said once, "Keep a diary and one day, it'll keep you." We all wish we had written things down. Such good advice! The very best advice? Go see one-of-a kind Jo Anne Worley in Keep Laughin' at Welk Resorts, Escondido June 26-30. She's worth the drive; she's a laugh riot! Playwright Brian Golden, who is currently artistic director for Theatre Seven in Chicago, hails from Iowa. His latest play Cooperstown is being produced at The Road Theatre's second space at the NoHo Senior Arts Colony on Magnolia Blvd. In town for the weekend, Golden held three talk-back discussions after the Friday June 7, Saturday June 8 and Sunday June 9 performances. In our chat, he describes how the play got started and what it means to him. Tell me first about Theatre Seven. It's the company that I started and am artistic director of in Chicago. We do...we have not always done this in our history...but right now we exclusively produce work that is set in Chicago. So we have a goal, a mission of really telling local stories and engaging the community to see plays that are about their city, past or present. We have a real focus on producing local work, and this play Cooperstown was developed and world premiered there in 2009 before we had an exclusively Chicago focus. For a while we had this notion that we could tell stories not set in Chicago but that still really dealt with Chicago. Chicago is a very segregated city. Chicago is also a city obsessed with its sports and its sports heroes. We felt at that time (2009) that this play (Cooperstown) fit into our mission to be a play that would really matter in Chicago, but due to the new rules we wouldn't produce it there in 2013. When did you change this rule? We've sort of evolved into that newer focus for the mission in the last year. We get a lot of excitement out of...it's really exciting when someone will be like, "That part of town that I drove through this week, I thought of it in a whole new way because of that play." I like that about local storytelling. Is Cooperstown your second or third play? You are young and didn't live through the 60s. How did you get the feel for it? I experienced the era you are writing about in Cooperstown and you have nailed it...and with such a wonderful sense of optimism! I was born in 1982. Jackie Robinson has for a long time been a real hero of mine; I'm a baseball fan. I'm really interested in that time, but the play actually came about because I was taking a writers' workshop at Chicago Dramatists, which is a really special place to develop new plays there. That was a deadline workshop. Every week you had to come in with a certain amount of new pages, and they had to be pages written for a mixture of five actors that they gave you. These actors were: a 35-year old black man, a younger white man, a younger white woman, a 25-year old black woman and an Asian woman...as it happens, the makeup of this play. And on the first day of that class, we were doing a sort of meet and greet between the writers for the class and the actors. Cecil (Burroughs), who is in this Road production, was one of the actors in that class. I had the blue Brooklyn Dodgers hat that I have on... I had that on right then, and Cecil mentioned that he was originally from LA and liked sports. And I said, "Oh, Jackie Robinson. That's my guy! You must be a big Jackie Robinson fan." His response was sort of like "I don't know. I find him overrated." I became really interested in that interaction both because of what I was trying to do, "Oh, I'm a white guy who's going to prove something about myself by saying I love Jackie Robinson"...and I was also interested in why a sports fan who was a Dodgers fan who was an African American man like Cecil might not be as in awe of Jackie as I was. I was interested in at least starting as play that would investigate that question of why someone who looked and acted like Cecil would not think Jackie Robinson was as big a deal as I did. That was the initial seed for the play that grew more complicated and problematic with all the characters involved. Talk a little about the hope expressed in the play. When I first started writing the play, I had just finished reading Howard Zinn's book A People's History of the United States. I was really interested at that time and still am in what history or historical moments look like seen through the eyes of ordinary people. Writing a history play never crossed my mind in a million years ...that anyone famous like Jackie Robinson would be a character in this play. I'm interested in what history looks like from the ground up. In trying to capture that feeling of change I became much more interested in doing it about 5 ordinary people than about anyone who's been in a history book. What do you want audiences to take away from Cooperstown regarding racism or anything else prevalent in the story? I don't know whether I think like that necessarily as a writer. My job is to tell a really compelling story that engages. Baseball is the setting, but this is really a play about family, what family means. That's the core of the play for me. I wasn't sure how I could get there as I was writing, but I knew the last line had to be "We can hope." I didn't know why that was. The idea is said by one character to another. I think it's a bigger idea. A couple of months after we elected President Obama, that idea of "We can hope" as a remedy for things was an idea that I believe in. Whether or not that's exactly what the audience takes away is out of my hands, but it's a very intentional and purposeful way for these last words to hang in the air in this play. Are you happy with the Road and this production? Director Darryl Johnson, who sat in on the interview, added that "it is not often that you read something that you hear in your head crystal clear, that you see the vision of it clear as day; it's like I knew exactly what this should look and sound like. I relate to this entirely. We share the same hopeful attitude about the world, so I totally connected with that right away. And we got really lucky with this cast top to bottom! And The Road had been producing such edgy material. I wondered whether anybody would be interested in Cooperstown, because nobody dies, there's no drug abuse, no blood. The response from the company was A breath of fresh air! A good classical old-fashioned story well told!" So happiness abounds at The Road these days and for good reason. 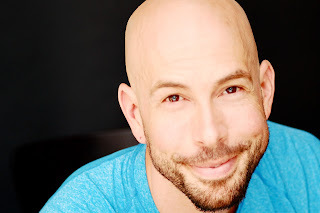 Just as a side note, Brian Golden confided in me that he's working on a new play that is 360 degrees different from Cooperstown, about conspiracy theories and the people who believe in them, citing a missing child case from Iowa, his state of birth. With this young man's integrity and fine writing skills, I'm sure it will be another insightful and riveting play. Go see Cooperstown at the Road through July 20 at 10747 Magnolia Blvd at the NoHo Senior Arts Colony! 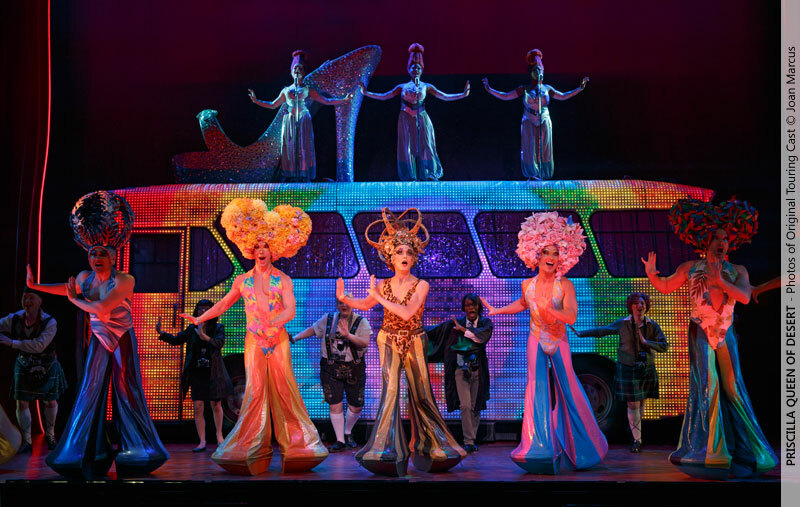 I asked the three co-stars of Priscilla Queen of the Desert the musical Wade McCollum, Scott Willis and Bryan West what they thought was the main reason for the show's amazing popularity. Why do you feel the show is so successful? Is it because it is wildly entertaining? Or is it because it’s about a different lifestyle stealing the spotlight? I think it’s a bit of both. Yes the show is wildly entertaining, and people can come and escape for a couple of hours, sing along to their favorite songs and let their hair down. But there is also something to be said about the voyeuristic side of the show as well. A lot of people are curious about drag and the whole burlesque lifestyle. This show lets them come and check it out. I don’t really think either the movie or the stage musical was written to make any specific social commentary at all. That’s just the byproduct of a very well written story. I think that anyone who has ever been in a minority of any kind or felt some type of prejudice can relate to the situation of this comedy. Which is to say, if you are not a white straight male…you are pretty much in a minority. And that is not to say that being a white heterosexual male is an easy thing. Not at all! A lot is expected of those guys. Be strong. Be in control. Be the bread winner. Have all the answers. (Just to name a few…) I think it’s a bit unfair to expect so much from anyone. But you have to admit, most of our world’s thinking revolves around the rules that those guys lay down for everybody else. Although many GLBT activist groups are so excited to welcome us to their cities, I think the story of Bernadette, Tick and Adam is really Everyman’s story. Even among the three main characters there are walls of prejudice firmly in place. And in fact, many of the supporting characters of Priscilla are often part of some type of minority group and experience some form of prejudice. They too are forced into an unkind spotlight of caricature in a humorous way. But all of it is done in such a light handed way that nobody in the audience feels like they are being preached at or being told they should believe or behave in any way different than they already are. I think the show’s success lies in combining the gritty story of these three gender queer underdogs with very familiar well known hit songs and outrageously beautiful show stopping spectacle. The characters are unexpectedly complex, hilarious and filled with heart, and as foreign as their lives may be to most people I think by the end of the play the audience feels the transpersonal tropes of longing for acceptance, love and family resonating within. The last song "We Belong" kind of sums it all up, "whatever we deny or embrace, for worse or for better we belong, we belong together."